A collection of CG images and animations about various acts of lecherous conduct in the toilets of a certain shopping mall! Features young chicks being assaulted by tentacle/monster creatures. In that church lived a novice priest with great ambitions, who one day finds two girls in very bad shape. However, the girls he rescued... turned out to be demons. The main feature of this item is cute characters selected from recent animes aired in '07. This is a fully voiced adventure game about the sexual abuse of girls. 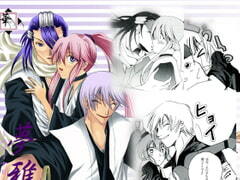 While Tsutome was taking a nap, he suddenly felt the lips of his stepmother pushing against his crotch. A game about two girls who go on a sleepover date together. COSTUME CHANGE! CGs & Wallpapers - ADVENTURE! 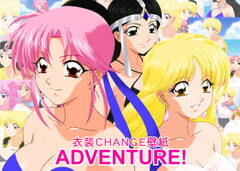 A set of cloth-change wallpapers about three female characters of Da* no Daiboken. 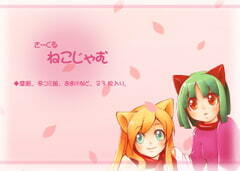 Circle Jam Neko's original wallpaper collection, adding some images created for Comic Market. Size: 1024x768 pixels. 23 images in total. A fan comic about Fullmetal *lchemist, featuring Roy and Ed. 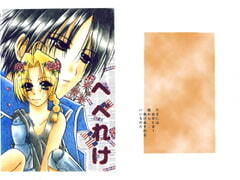 A short doujinshi dream novel featuring Hakuya, Gin and Hirako from BLEA*H.